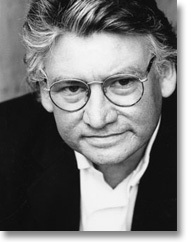 Alan Wall was born in Bradford and studied English at Oxford. He has published six novels and a book of short stories. Jacob, a book written in verse and prose, was shortlisted for the Hawthornden Prize. His work has been translated into nine languages. He has also published essays and reviews in many different periodicals including the The Guardian, The Spectator, The Times, The Jewish Quarterly, Leonardo, PN Review, The London Magazine and Agenda. Alan Wall has been Royal Literary Fund Fellow in Writing at Warwick University and Liverpool John Moores and is currently Professor of Writing and Literature at the University of Chester. He lives in North Wales.